December 2, 2018 Annnd... Action! Photo BoothLeave a Comment on California Wildfires 2018 – Please Give! Originally posted 12-Nov-2018. As of December, with the holidays now fast approaching… these folks still need our support. Our hearts go out to everyone impacted by fires here in California – both North and South. These people are our friends, colleagues, clients and family. 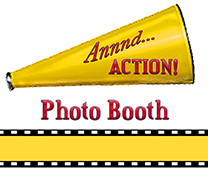 Annnd…Action! Photo Booth has made a donation to help those most impacted. Please help if you can. Donate now as little or as much as you can – and when you see them passing by, give firefighters and responders a smile and a cheer. We can all use a little pick-me-up right now. Thank you. Previous Happy New Year 2018!